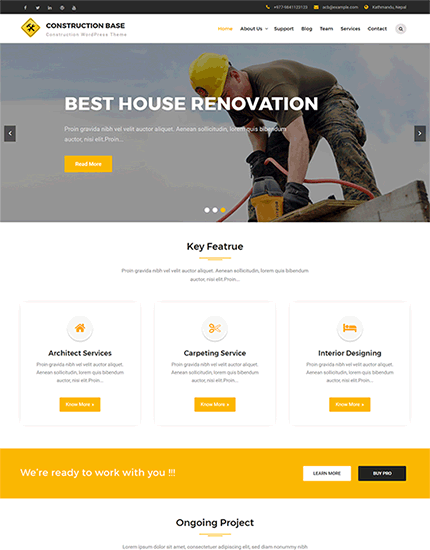 Construction Base Pro is a robust and responsive construction WordPress theme. It is simple and intuitive platform so that it would be easy for making resourceful business websites without any coding. 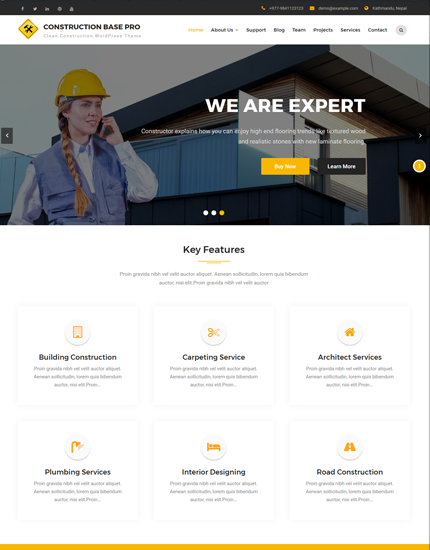 It has been created specifically with one purpose in mind, to provide the easiest and most intuitive platform for construction companies, builders, woodworkers, contractors, and all similar, related fields of business. Although it is focused for construction area, it can be used in any type of business websites. It is very flexible and provided with convenient features and options for your business.